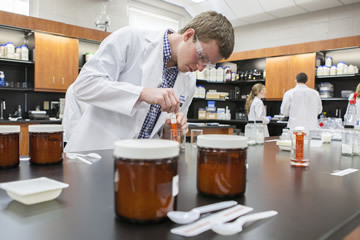 Samford’s undergraduate prepharmacy curriculum provides a fast-track to earning your Doctor of Pharmacy in just six years. A career in pharmacy means dedicating yourself to a practice of serving others and a commitment to lifelong learning. Samford University's prepharmacy curriculum will equip you with an intensive foundational experience to help you do just that. Our prepharmacy curriculum is tailor-made for a successful transition into McWhorter School of Pharmacy's Doctor of Pharmacy program. In addition to preparing you for graduate school, our customized plan of study offers knowledge about the pharmacy profession, practice, opportunities and requirements. 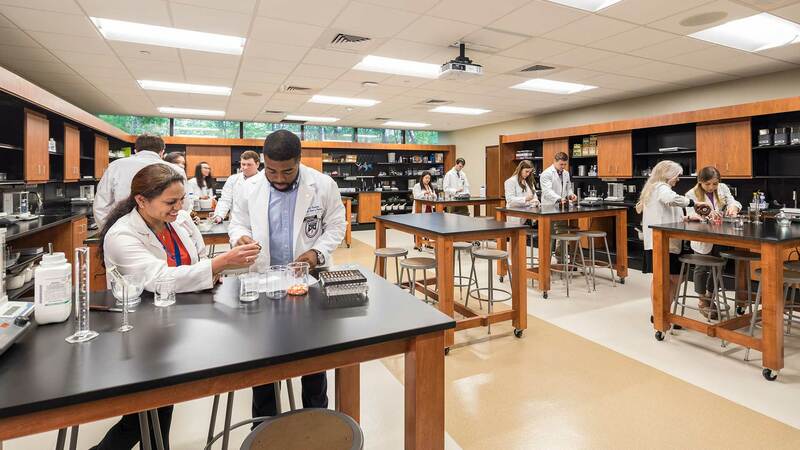 Samford's prepharmacy curriculum is a true 2/4 program, meaning you can earn your Doctor of Pharmacy in six years after earning your high school degree. All prepharmacy students are advised by McWhorter School of Pharmacy's Director of Admission, providing you with direct contact with the admission office while completing your prepharmacy curriculum. Students who receive annual renewable Samford scholarships as an entering freshmen can keep their scholarships all four years, including their first two years of pharmacy school. Earn a B.S. in Pharmacy Studies upon the completion of your second year of pharmacy school, enabling you to pursue dual degrees. An undergraduate elective course is offered once a year for prepharmacy students with the purpose of exploring the dynamic career opportunities in pharmacy. Free tutoring help is provided by current Doctor of Pharmacy students who completed the prepharmacy curriculum. To apply to Samford, go to samford.edu/admission/apply. Incoming freshmen must have a minimum ACT (or SAT equivalent) score of 22 to be eligible to declare prepharmacy as the plan of study. Incoming freshmen with an ACT (or SAT equivalent) score below 22 may request a change into prepharmacy after two semesters of coursework at Samford if the student has earned an overall minimum GPA and math/science GPA of 3.0. * Choose either SOCI 100 (Introduction to Sociology) or PSYC 101 (General Psychology) for one of the liberal arts requirements. The remaining four credits may be chosen from courses in political science, history, foreign languages, philosophy, psychology, sociology, geography, economics, and either art, music, or theatre appreciation.